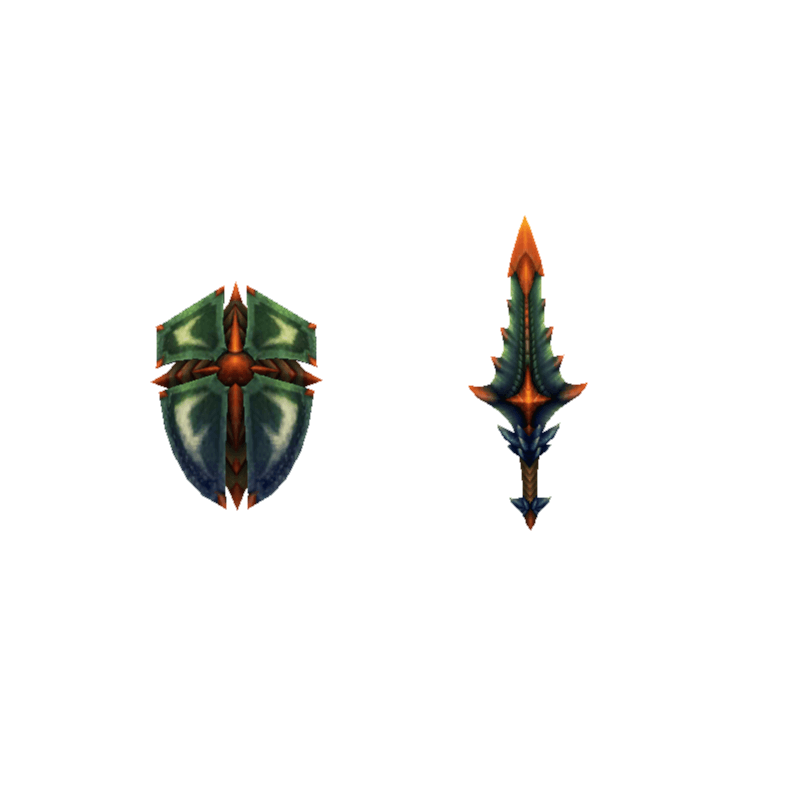 A Sword & Shield made by layering hard materials and then plating them. Heavy. / Only the real deal can lift the weighty Celestial Sword's final form.